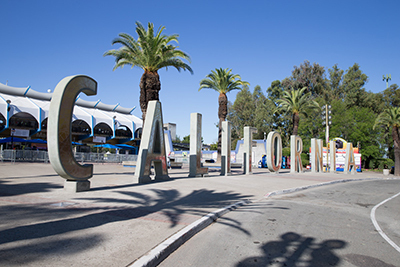 California (CA) is one of the largest states by area nationwide and home to socioeconomically and culturally diverse populations. The state ranges from snow-capped mountains and rural deserts to coastal beaches. Furthermore, it spans a huge part of the United States western coast. The state hosts numerous rehab facilities, some are the best in the country and Carlsbad alcohol & drug rehabs are not excluded. While the state and surrounding communities offer an idyllic lifestyle, they harbor a secret-alcohol and drug addiction. In fact, drug deaths are increasing as more potent drugs enter the market. Drug and alcohol addiction destroy lives regardless of age, cultural background, and gender. While numerous people think that drug addiction and abuse occur mainly in the urban areas, the epidemic affects the suburbia and rural areas. One of the areas affected by the epidemic in CA is Carlsbad-a beautiful city with a stunning, scenic coastline. With a population of 112, 299, the city battles an addiction issue like numerous Californian cities. The drugs causing major problems for its residents include methamphetamine, heroin, and misused prescription pills. Fortunately, opportunities also exist for addicts to break away from the struggle with alcohol and drugs, ranging from outpatient and inpatient programs, together with recovery groups. Drug addiction and abuse have flourished in Southern California for a long time because of its proximity to the Mexican border. In fact, it’s the prime location for international and domestic drug smugglers to carry out business. This region also has widespread transportation facilities, making it the ideal point of distribution for drugs heading north, drugs being distributed nationwide, and those meant for sale to local users. This region also has airstrips, airports, and an extensive interstate system in which drug dealers and smugglers can sell and transport their product easily. Alcohol abuse among the underage is a problem in CA and more than 5,000 youths aged between 12 and 20 underwent admission for the treatment of alcohol dependence or abuse in 2012; this represented 14% of the total alcohol-related admissions statewide. In 2013, approximately 53% of high school students in CA admitted to alcohol consumption at least once while over 35% drank before age 13 according to a survey. Abusing drugs or drinking while underage can increase the odds of alcohol or drug abuse, addiction problems, and dependency considerably. Furthermore, underage drinking increases crime rates and can contribute to injuries, violent episodes, mental health problems, and vehicle crashes. Throughout CA, 48 juvenile drug courts exist to get youngsters into treatment programs as a substitute for incarceration when substance abuse poses legal issues. The process typically involves an initial intervention before the child and at times, the entire family enters an approved treatment program. According to reports, the California Department of Health Care Services or DHCS offer over 7 million annually for the Adolescent Treatment Program or ATP, which finances residential treatment, prevention programs, transition services, and outpatient programs. You can access the local programs by getting in touch with the local county drug and alcohol office. Private facilities offer treatment for minors as well and may provide specific and more comprehensive services. Alcohol appears to be the most commonly abused substance statewide since almost 51% of citizens reported past-month use during a 2009 survey. Heroin, marijuana, and stimulants might be the most problematic illegal drugs in the U.S.’s Pacific Region, which comprises the state of CA along with Oregon, Alaska, and Washington. Although seizures at the border of California and Mexico reduced between 2001 and 2011, the seizures and traffic of methamphetamine and cocaine appeared to increase throughout that 10-year span. Within CA, alcohol, heroin, meth, marijuana, and prescription drugs are the most commonly abused. Between 2009 and 2013, an approximated 7.5% of residents were considered to be dependent on or abusing alcohol, which was about 2.3 million persons aged over 12. In 2012, more than 161, 000 persons in CA underwent admission to licensed or state-run treatment facilities for a substance-related issue. Out of these, almost 20,000 underwent admission for an alcohol dependency or abuse while almost 18, 000 underwent admission for alcohol abuse with a secondary dependency or abuse problem as well. Over 90,000 persons in CA sought treatment in the emergency department for an alcohol-related problem in 2009 and over 30,000 underwent hospitalization for issues associated with alcohol. Stimulant drugs, for instance, methamphetamine poses a huge threat. In 2012, methamphetamine and amphetamine drug use accounted for approximately 30% of all primary admissions, with 43, 105 persons admitted for treatment. According to data, deaths associated with meth abuse increased 82% from 2008-2012. Emergency department visits involving meth abuse were especially common in San Francisco in 2011. Meth is frequently “cooked” in illegal laboratories trafficked across the border, especially from neighboring Mexico in the form of “ice” crystal or powder. Mexican DTOs have heavily invested in the Northern California region both in manufacturing huge drug quantities of the drug. In 2014, four times as many methamphetamine seizures at the San Diego seaport, airport, and California-Mexico border. In California, pot or marijuana might be medicine, but an alarming rate of patients has ended up with an addiction to the drug. CA is one of the states with high levels of use and seizures of plants have risen by more than 300%. Presently, marijuana farms are rising particularly in Northern California where scientists approximate that at least 281outdoor farms and 286 greenhouses exist. These situations have activated the debate regarding the marijuana taxation and regulation in order to tackle the marijuana issue in CA. California became the first state to legalize the drug for medical uses. However, decriminalization may result in the increased accessibility, usage, and possible negative outcomes from its abuse or regular use. Like alcohol and other drugs, marijuana can alter senses and perceptions, slow response times, and reduce coordination. Fatal vehicle crashes involving this drug and its influence increased from 2007-2010 in California. The existence of cannabinoids in drivers associated with lethal car accidents grew 196% before the legalization of marijuana. Its wide use occurs across various ethnicities and ages as well as both genders. An approximated 5% of Californians used the drug for medicinal purposes in 2012 and in the same year, it was the 2nd most cited drug in admissions for substance dependency and abuse as 33, 266 persons underwent admission to a licensed or public treatment program. The abuse of this drug is also common in adolescents and younger adults. In LA County, almost 60% of all admissions listing the drug as the major substance of abuse were below 18 during the initial half of 2013. In California, minors aren’t permitted to use marijuana, tobacco, or alcohol. In spite of this, a current report reveals that 424,000 or 13% of minors aged between 12 and 17 in CA have used marijuana in the previous year while 222, 000 have used pot in the previous month. Heroin is an illicit drug that functions as a CNS depressant and when abused, it generates a short-lived euphoria. In 2012, the drug accounted for 28, 705 admissions in CA. According to reports, the Central Valley CA HIDTA, which comprises Sacramento, San Joaquin, and Fresno, is facing an increase in heroin admissions as numbers grew 63% from 2012-2014. Nevertheless, abuse may vary as law enforcement takes measures against drug trafficking endeavors and prescription painkillers. Today, heroin abusers may bounce between opioid drugs and might have started with prescription narcotics. In CA’s Ventura County, heroin-related deaths doubled between 2009 and 2012, resulting in 43 overdose fatalities but witnessed a reduction in 2013 as prescription opioid-related deaths rose to 69%. While the society previously perceived heroin as being limited to low-income and urban neighborhoods, economically stable persons aged between 18 and 25 currently abuse the drug. Both prescription painkillers and heroin affect the brain in practically the same way and users may perceive them as interchangeable today. In San Diego, heroin overdoses increased during the initial six months of 2013 and treatment admissions for abuse increased to over 2, 000 admissions. Recovery from addiction is a process that lasts years. A rehab shouldn’t merely help you break from withdrawal symptoms. It must provide psychotherapeutic treatment and constant aftercare services to reinforce your life without alcohol and drugs. One treatment approach for heroin rehabilitation includes peer support, which plays a sufficient role in the recovery setting of rehabilitation programs. The establishment of the peer group can occur through 12-step meeting and group participation. Other techniques include stress reduction techniques and psychological healing. According to data from the NSUDH or National Survey on Drug Use and Health, approximately 1.5 million Californian residents abused and misused prescription drugs from 2005-2006. The report comprises 214,000 youth (aged 12-17), 812,000 older adults, and 456, 000 teens. Additionally, pain relievers are the most commonly misused prescription drug statewide based on data from NSDUH. In a 2006 NSDUH report, approximately 9.8% of persons aged between 12 and 17 were illicit drug users. In that age group, 6.7% youths used marijuana while 3.3% engaged in the non-medical misuse and use of prescription drugs. The problem of prescription misuse in CA is worse among young adults aged between 18 and 25. According to the 2006 report by NSDUH, approximately 15.6% young adults misused prescription drugs annually statewide. According to reports, deaths from prescription abuse are rising nationwide and their abuse has caused more deaths than cocaine and heroin combined according to CDC. Reports also reveal that California is handing out the most prescriptions nationwide; 3.9 million scripts were filled in 2011. Experts assert that the drugs become easily available to young persons in turn. Consequently, they frequently pop the pills without recognizing the consequences. According to a study, drug-related overdoses have quadrupled in the past decades in states such as Iowa, West Virginia, Kentucky, and Indiana. Consequently, California lawmakers passed a law (C.U.R.E.S.) that finances a tool to fight the abuse of prescription drugs using technology. C.U.R.E.S. enables law enforcement and licensed medical prescribers to access patients’ prescription information through an online database, permitting pharmacists and doctors to examine prescription patterns. The system seeks to help prevent the abuse of prescription drugs and doctor shopping. This program offers an opportunity to get and remain clean without needing a long-term commitment. At the end of this program, some persons may progress with a longer program, shift to an outpatient plan, or partake in ongoing aftercare to sustain their sobriety. These programs are frequently a good starting point for persons struggling with addiction. Rehab in a 60-day program will give you time for detoxification and undergo therapy that seeks to tackle the root sources of addiction. These facilities have two goals: detoxing patients and helping them deal with the cravings through positive self-talk and using healthy stress management methods. Patients can expect to spend a week or more in detoxification, depending on the drug and then they’ll start their therapy sessions. If the treatment takes a longer duration, the patient can choose to stay longer but at a more costly rate. Methamphetamine is a considerable threat to CA and there’s been an increase in the number of laboratories in the past years. As a result, the law enforcement is straining to conduct investigations sufficiently and clean up the dangerous chemicals related to meth production. The level of meth abuse and treatment for abuse is also high statewide. Mexican DTOs and criminal groups control meth distribution and production statewide. These groups and organizations use established distribution and smuggling networks to supply meth to markets throughout CA. Other meth distributors include street gangs, local dealers, and outlaw gangs. Meth addiction in CA has deeply affected local communities, overstraining their social services and public health programs in addition to law enforcement agencies. According to UCLA, about 500,000 Californians use meth today. Research further reveals that the drug accounted for almost 34.3% of treatment admissions in 2011-2012. Reports also reveal that meth addiction has affected the Californian workplace, with a considerable increase in positive test results between 2007 and 2012. Moreover, statistics indicate that meth-related deaths increased nearly 88% between 2007 and 2012. Meth addiction is difficult to kick since it stimulates the brain’s reward centers. Therefore, once you abstain from it, you’re likely to experience severe depression. However, numerous rehab facilities exist throughout the nation and each is distinct. If you’re seeking help, ensure you choose the facility that fits your budget and needs. The duration of rehabilitation is dependent on your financial ability and the difficulty of kicking the drug habit. Numerous patients begin on a one-month program and then transition to an outpatient program for additional treatment. For more serious cases in which considerable psychological and medical help may be necessary, inpatient treatment can last 2-3 months. You can spend more time at the treatment facility if the environment you’ll return to will hinder your recovery. Beware that meth addicts face a high likelihood of relapse if they lack a support system. Two kinds of facilities treat meth addiction: outpatient and inpatient program. Outpatient facilities permit you to live at home and come to the facility regularly. Inpatient facilities, however; offer a place to live along with 24-hour treatment and support within the facility. An inpatient program is ideally the best for recovering addicts due to the intense withdrawal symptoms. This kind of facility can be hard to use because you won’t be working or fulfilling your daily obligations during that period. Instead, you’ll dedicate your full attention towards recovery. You might not require a residential facility if you’re an occasional drug user. In that case, an outpatient program might be suitable. Alcohol and drug addiction is a severe condition that’s at times related to extreme issues and co-occurring problems, for instance, a mental disorder. Therefore, you can’t overlook quality when choosing the ideal facility. All rehab programs have particular protocols and methods for providing treatment. For the most part, you’ll find that most of the programs have comparable treatment options, including counseling and therapy. However, distinct differences exist, so you must take the time to review what every program offers before making a final decision. Check out more frequently asked questions about rehab and treatment on our FAQs page by clicking here. Brain changes allow the drug use to shift from something controllable to something addicts can’t control. Addicts tend to exhibit personality changes related to addiction. For instance, they experience intense states of pleasure or happiness when they’re on drugs but exhibit low moods once the drugs wear off. Behavioral changes include frequent absences from school or work and a greater need for privacy. Addictions can also be expensive, so the person might resort to stealing to acquire drug money. This stage can have various motivators, with peer pressure being a major factor among young individuals. Without a realistic evaluation, you can easily shift unknowingly to acute phases. Using a drug regularly doesn’t necessarily lead somebody into addiction. Some people can take a drug gradually for a period and terminate its use with minimal or no discomfort. The probability of dependence is based on the duration of drug use and the dosage’s potency. As the user passes through the various stages, his or her behavior and personal decisions become increasingly dangerous. In this stage, the devastating consequences are evident. For instance, the person will miss work frequently because of repetitious drug use. Here, the user is physically and psychologically bonded to continued alcohol or drug use. Therefore, the person must undergo detox. The information you provide to the physician will guide him or her in developing your treatment plan. Here, you’ll make an inquiry regarding the prospective treatment facility, enabling you to decide whether it suits your needs. Intake involves a physical exam and providing your medication history to reveal your health status. This stage involves the management of withdrawal symptoms under the supervision of a physician. This program allows you to receive addiction treatment within the facility. With this plan, you don’t live in the facility but you’ll still obtain treatment while maintaining your normal routine. This mainly involves following up with a recovering addict to see how he or she is coping after leaving a treatment facility. These homes allow recovering addicts to learn how to adjust after completing a treatment program. While California is renowned for various attractions, the beautiful city isn’t immune to drug and alcohol addiction. Nevertheless, if you or a loved one is struggling with this problem, various rehab facilities statewide will give you or your loved one a chance to start over.